A Plumber has been serving Decatur, Alabama since 2007. 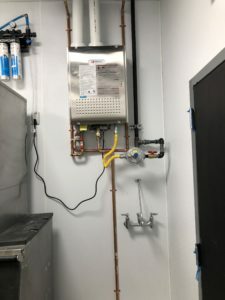 We are a full service plumbing company offering plumbing and drainage services, appliance installation and more for residential, commercial, and industrial properties. All of our technicians are experienced, licensed, and highly trained. With upfront flat rate prices and fantastic customer service, you won’t find a more dedicated plumbing company in all of Alabama. Our company began as a husband and wife team with a single service truck. Alex and Elizabeth Organ’s two young daughters assisted their mother in the office while their father worked hard every day to provide excellent plumbing services to as many customers as possible. The A Plumber family has grown and expanded over the years. Alex and Elizabeth now have two teenage daughters, a busy toddler, and a new baby boy. Alex has been busy growing A Plumber from a two employee company in 2007 to an amazing team of nine in 2016. 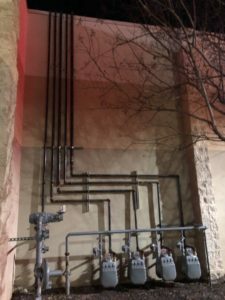 We are excited to now offer larger remodels and new construction, and are planning to expand and offer gas line installations and repairs in the near future.